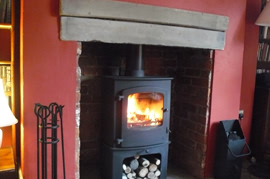 We were approached by David and Janice of Ash Farm, Dunham Massey, Cheshire, to install a wood burning stove in the guest lounge of their traditional Farm House Bed and Breakfast business which is set in the lovely rolling countryside of Dunham Massey. 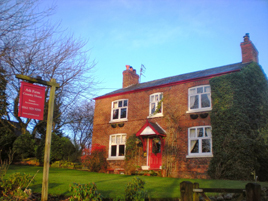 Ash Farm operate seven days per week and has a constant stream of guests staying, therefore David placed great emphasis on warmth and efficiency of the stove, aesthetics, cleanliness and speed of the installation. We spent time with David and Janice discussing their requirements and made the following suggestions. 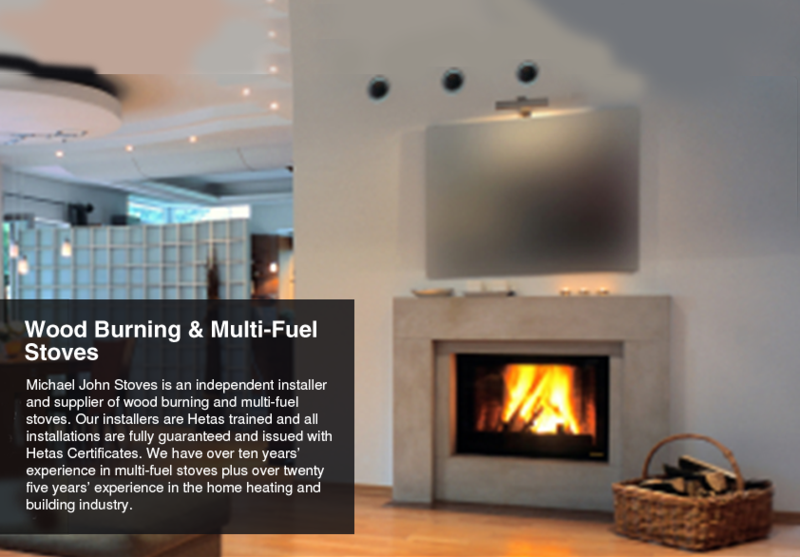 We felt the stove would look more in keeping if it was set further back into the recess. 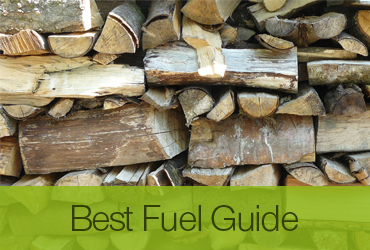 This involved making a larger chamber for the wood burning stove to be seated, plus raising the height of the wood burner and thus allowing storage and drying area for the logs. 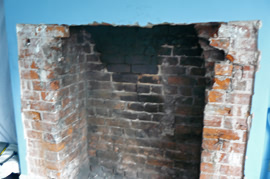 In order to keep the fire place in keeping with the property, we recommended opening up the natural brick chamber behind, and exposing the original Cheshire brick. Finally, to complete the look, we cut up an old Cheshire stone step (from their garden) to produce a lintel and mantel piece to the top of the fire, which provided a traditional feature, very much in keeping with the Cheshire farm house style of the period. A site survey was conducted … including a trip to the garden to find the old step! The room was cleared in advance of our arrival. We laid dust sheets and covered the door to eliminate dust. 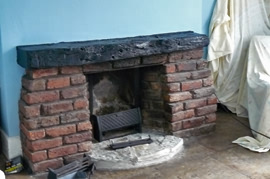 Our task involved removing the 1950’s hearth and gas fire. 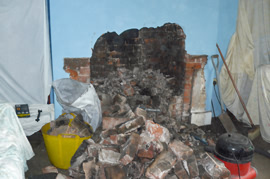 Removing the brick work inside the chamber of the fire place, knocking through and cleaning. Up onto the roof to the chimney to line it with the relevant stainless steel liner and cap off with pot and cowl. 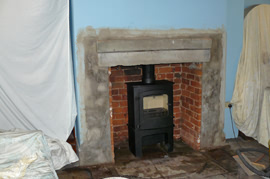 Clean and point the original brickwork, fit hearth and plaster as required. Cut stone mantel to fit. 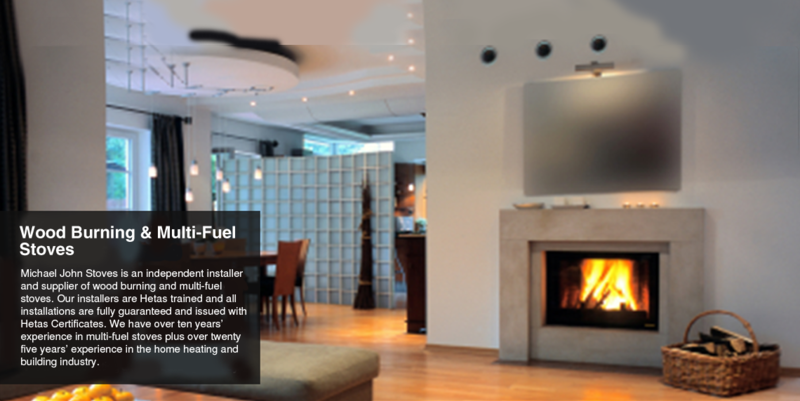 Fit the stove and register plate, fully test the stove and commission. Remove all the dust sheets and clean up the mess. And finally... Make sure the customer is happy and provide HETAS certification before requesting balance of payment. 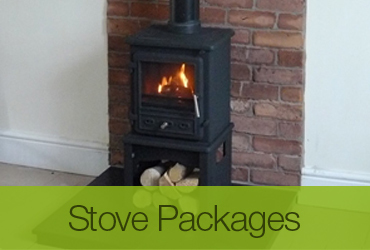 Michael John Stoves, providing and installing wood burning stoves and multi-fuel stoves to Cheshire, Lancashire, Manchester, incl. Altrincham, Ashton-in-Makerfield, Ashton-under-Lyne, Atherton, Audenshaw, Blackrod, Bollington, Bolton, Bury, Cadishead, Chadderton, Cheadle Hulme, Cheadle, Chester, Congleton, Denton, Droylsden, Dukinfield, Eccles, Failsworth, Farnworth, Hale, Heywood, Hindley, Hyde, Irlam, Kearsley, Knutsford, Leigh, Littleborough, Macclesfield, Middleton, Milnrow, Mossley, Northwich, Oldham, Partington, Pendlebury, Prestwich, Radcliffe, Ramsbottom, Rochdale, Royton, Runcorn, Sale, Shaw and Crompton, Stalybridge, Stockport, Stretford, Swinton, Tottington, Tyldesley, Walkden, Warrington, Westhoughton, Whitefield, Widnes, Wigan, Wilmslow, Winsford & Worsley.